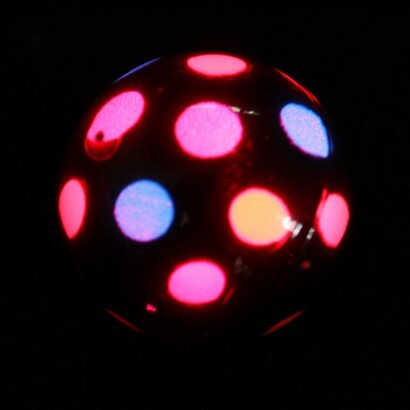 A strangely mesmerising hard plastic ball with clear casing reveals the brightly coloured spotty inner that glides and spins as you play. 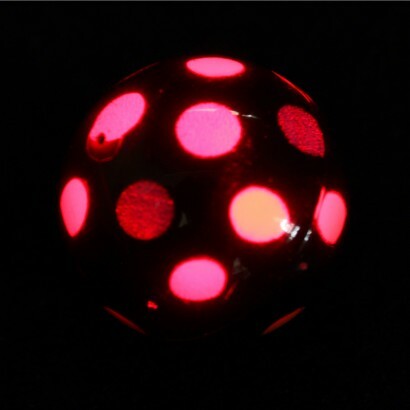 Bounce the ball and an LED inside lights up highlighting the colourful spots leaving trails of light in the dark. 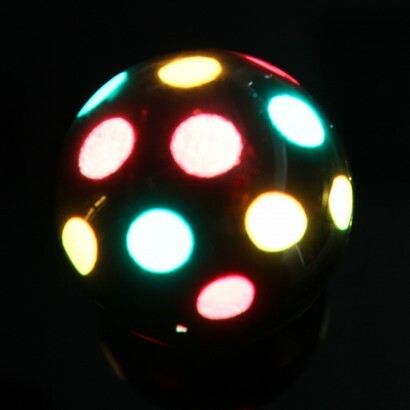 Ideal for endless play and sensory fun.